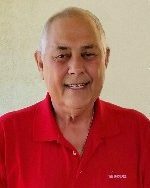 Mark Junker, 77, of Swansea, IL, born December 9, 1941, in Belleville, IL, died Monday, February 4, 2019, at The Colonnade Senior Living, O’Fallon, IL. Mr. Junker worked as a senior technician for Lucent Technologies before his retirement. He was a member of the Cathedral Alumni Association and was a member of St. Mary’s Catholic Church, Belleville, IL. Mark was a member of the men’s club at the church. He was preceded in death by his parents, Roland and Mary Ellen, nee Wagner, Junker; a brother, David Junker; and a brother-in-law, Frank Geolat. In lieu of flowers, memorials may be made to the Siteman Cancer Research Center for prostate or breast cancer research. Condolences may be expressed to the family online at www.rennerfh.com. Visitation: Friends may visit with the family from 4 to 8 p.m. Friday, February 8, 2019, at George Renner & Sons Funeral Home, Belleville, IL, and from 9 to 10 a.m. Saturday, February 9, 2019, at St. Mary Catholic Church, Belleville, IL. Funeral: A Mass of Christian Burial will be held at 10 a.m. Saturday, February 9, 2019, at St. Mary Catholic Church, Belleville, IL, with Father Nicholas Junker officiating. Cremation services will follow the Mass. Burial will be at Green Mount Catholic Cemetery, Belleville, IL, at a later date. Dear Mary Ellen and family, My deepest sympathy on your loss. He was a great neighbor for many years. My thought and prayers are with you and your family. Dear Mary Ellen and family. I have many great memories of Mark from working with him for many years. He had a smile that would light up the room. Our deepest sympathies go out to the whole Junker clan as this beloved Husband, Father, Grandfather, Brother, Uncle & friend goes home to GLORY. We are praying for the Lord's peace and comfort for you all in this time of great loss. Love, Angie, Paul & Collin Rogers - Bill, Nicole & Isabelle Hartley. Brad, I'm really sorrow for your loss. I too lost my father from cancer at what seems like a young age. I'm on my knees praying for you and your family. All of the Junker is in our thoughts and prayers. You are a blessed family. Dear Mary Ellen & Family, Mark and your family have been special friends of ours for a long time and we hurt as you all hurt. It is comforting to know he is with our Lord. God Bless you all. Much love. MaryEllen and family, sending my deepest sympathy to you and your family. So sorry for your loss. My husband Dean Nowland worked with Mark and he passed away 10-19-18. He always spoke well about Mark. Mary Ellen & family, I have fond memories of Mark from working with him over the years with the telephone company. God bless Mark and your family as you go through the grieving process. Mary Ellen and family sending my deepest sympathy to you on Marks passing. So sorry for your loss.